Buddhist Religious Complex Sites of Chinese Heritage consists The Potala Palace, Jokhang Temple Monastery and Norbulingka. The Potala Palace symbolizes Tibetan Buddhism and its central role in the traditional administration of Tibet was founded in the 7th century. The Jokhang Temple Monastery is an exceptional Buddhist religious complex. 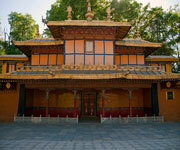 Norbulingka, the Dalai Lama's former summer palace, constructed in the 18th century, is a masterpiece of Tibetan art. The beauty and originality of the architecture of these three sites, their rich ornamentation and harmonious integration in a striking landscape, add to their historic and religious interest. Construction of the Potala Palace began at the time of Songtsen of the Thubet (Tubo) dynasty in the 7th century AD. 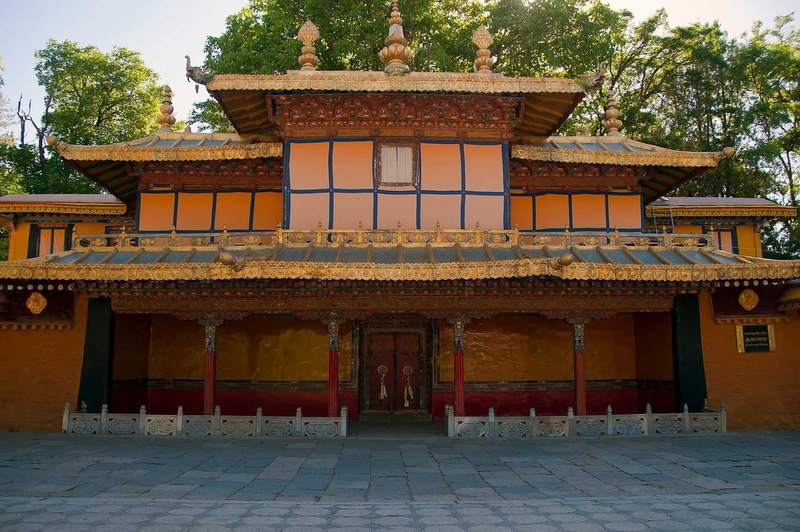 It was rebuilt in the mid-17th century by the 5th Dalai Lama in a campaign that lasted 30 years, reaching its present size in the years that followed, as a result of repeated renovation and expansion. The Potala is located on Red Mountain, 3,700 m above sea level, in the centre of the Lhasa valley. It covers an area of over 130,000 m2 and stands more than 110 m high. The White palace is approached by a winding road leading to an open square in front of the palace. Its central section is the East Main Hall, where all the main ceremonies take place. The throne of the Dalai Lama is on the north side of the hall, the walls of which are covered with paintings depicting religious and historical themes. At the top of the White Palace is the personal suite of the Dalai Lama. The Red Palace lies to the west of the White Palace. Its purpose is to house the stupas holding the remains of the Dalai Lamas. It also contains many Buddha and sutra halls. To the west of the Red Palace is the Namgyel Dratshang, the private monastery of the Dalai Lama. Other important components of the Potala complex are the squares to the north and south and the massive palace walls, built from rammed earth and stone and pierced by gates on the east, south and west sides. Building of the Jokhang Temple Monastery began in the 7th century CE, during the Tang dynasty in China. The Tibetan imperial court eagerly espoused Buddhism when it was introduced. The site of the Temple Monastery was selected, according to legend, when the cart in which Wen Cheng was bringing the statue of Sakyamuni sank into the mud by Wotang Lake. Divination identified this as the site of the Dragon Palace, the malign influence of which could only be counteracted by the building of a monastery. The foundation stone was laid in 647 and the first major reconstruction took place in the early 11th century. During the century following the reunification of the Tibetan kingdom by the Sakya dynasty in the mid-13th century, a number of new developments took place. These included extension of the Hall of Buddha Sakyamuni and construction of a new entrance and the Hall of Buddha Dharmapala. The Temple Monastery is in the centre of the old town of Lhasa. It comprises essentially an entrance porch, a courtyard and a Buddhist hall, surrounded by accommodation for monks and storehouses on all four sides. The buildings are constructed of wood and stone. The 7th Dalai Lama is reported to have had health problems and he used to come here for a cure. The construction of Norbulingka started in 1751 with the Uya Palace. Successive Dalai Lamas continued building pavilions, palaces and halls, making it their summer residence, and soon the site became another religious, political, and cultural centre of Tibet, after the Potala Palace. 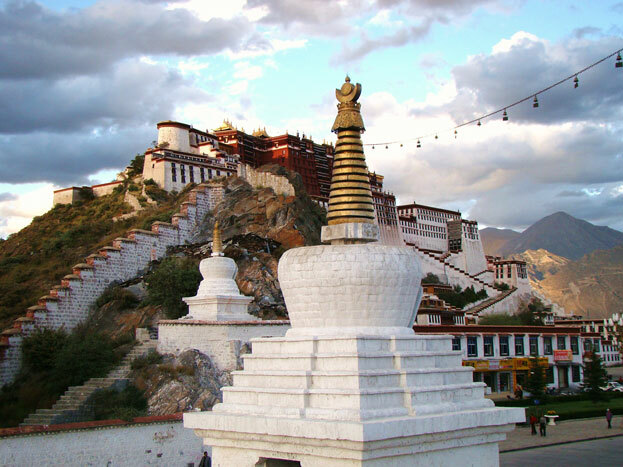 Norbulingka (treasure garden) is located at the bank of the Lhasa River about 2 km west of the Potala Palace. The site consists of a large garden with several palaces, halls, and pavilions, amounting to some 36 ha. The area is composed of five sections.